Mohnish Pabrai began his career as an entrepreneur but switched to money management. Pabrai though is most famously known for the $650,100 he paid for having lunch with billionaire investor Warren Buffett. Pabrai is in fact a big fan of Buffett and has even structured his hedge fund in the same way as Buffett did when he began more than five decades ago. Pabrai manages Dalal Street, which he founded the fund in 1999. At the end of June quarter, the fund had an equity portfolio worth approximately $296.27 million, down from $345.10 million reported at the end of the previous quarter. The Consumer Discretionary sector accounted for 43% of the equity portfolio value, while other 16% were invested in the Technology sector. In fact, Dalal Street’s last 13F indicated just seven holdings, and, in this article, we are going to take a closer look at some of Pabrai’s top stock picks, as well as one stock in which the fund initiated a stake heading into the third quarter. Let’s start with Pabrai’s new position at the end of June, which is represented by AerCap Holdings N.V. (NYSE:AER). Pabrai acquired 624,160 shares of AerCap during the second quarter the value of the position stood at $20.96 million at the end of June, accounting for 7.08% of the fund’s equity portfolio. Earlier this week, AerCap announced the delivery of its first Airbus A320neo on lease to Volaris. AerCap also has six A321neo aircraft on order, which will be delivered through 2018. The number of hedge funds tracked by us long AerCap at the end of June stood at 36, down from 49 at the end of March, while the total value of their holdings slid to $1.45 billion from $1.85 billion during the second quarter, but, nevertheless, represented over 22% of the company’s float at the end of June. 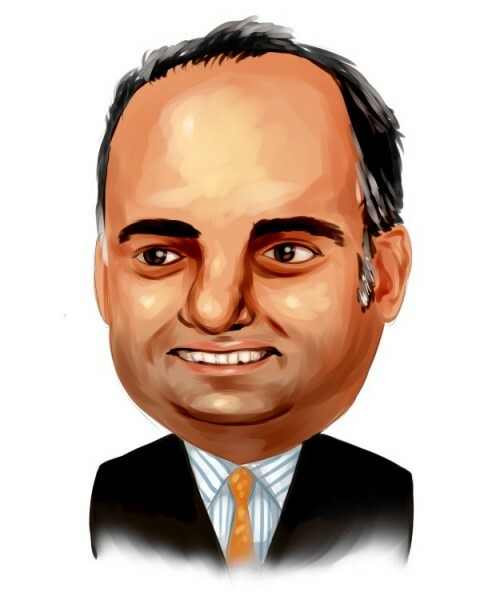 In Seritage Growth Properties (NYSE:SRG) Pabrai’s fund held 529,113 shares worth $26.37 million at the end of June. During the quarter, Pabrai trimmed its position in Seritage by 1,540 shares. Seritage Growth has recently announced that Sears Holdings Corp (NASDAQ:SHLD) has exercised its right to terminate master lease with regards to 17 stores. Sears expects to vacate the stores in January 2017. Seritage is also entitled to a termination fee from Sears, which equals one year of aggregate annual base rent, plus estimated operating expenses. Of the 749 funds in our database, 22 held $382.43 million worth of Seritage Growth shares at the end of June, down from 27 funds holding $514.74 million in stock a quarter earlier. On the next page, we are going to discuss three companies that represented Pabrai’s largest positions at the end of the second quarter.